Price is per blank. Multiple blanks shown to illustrate the variety that is possible. The blanks are nominally 3/4" square by 5" long. 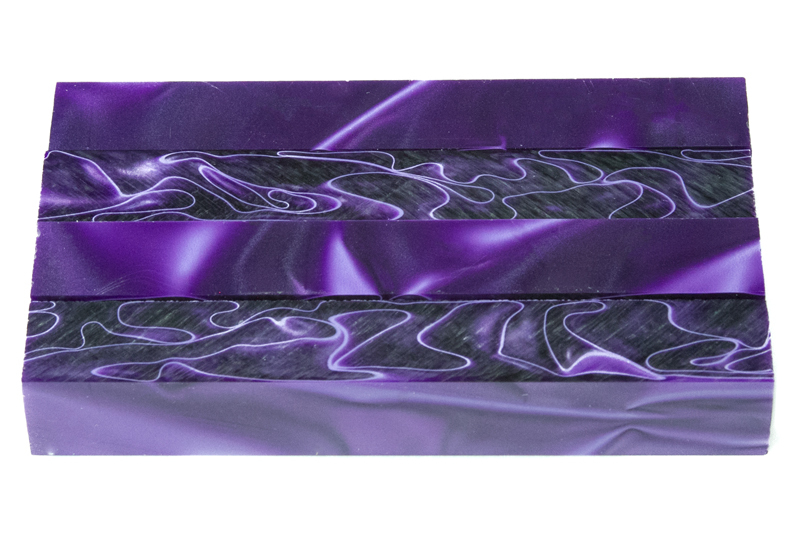 The batch 2 blanks (shown in the product photo) have 2 lines instead of 3 and the lines are light purple/white.